Picking out the perfect gift for your kid. It will bring joy and smiles. Think of a cool gifts you know is on your kids must-have. This will make shopping easier on you. Kids already have so much toys. Pick cool wardrobe sets and turn your kid into a super hero. What is the Kids Holiday Gift Guide? 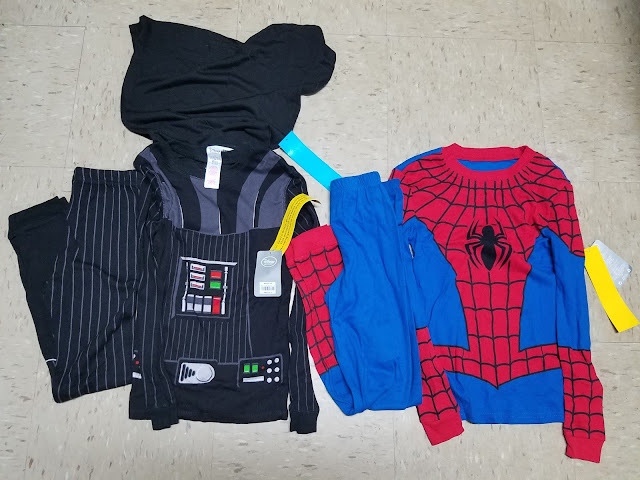 The Disney Spider-Man Costume PJ Pals For Boys and Darth Vader Costume PJ Pals For Boys. Your kid will be Superman and Darth Vader. The imagination of play will come alive into a super hero. These pajamas are cool and fun. Boys will love the pajamas. Bedtime will make every night an adventure. The pajama set comes with a top and coordinating elastic-waist pants. Your kids will love these pajamas as my two kids do. I got both pajamas in size 10. They're comfortable and can enjoy a goodnight rest. I am very pleased with the pajama set. The Disney Store has great products for the holidays. You can find pajamas for boys, girls and adults. Check out their website at Disneystore.com. The pajama sets retail for $16.95. Price may vary depending on store sale. Disney Store provided their pajamas free for this post.